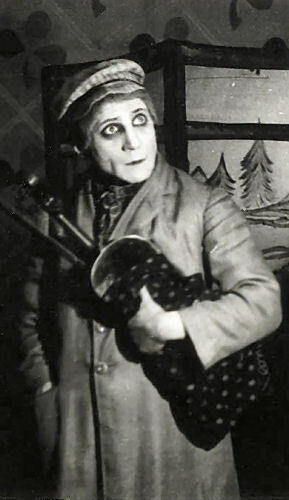 Joseph Buloff (1899-1985) was one of the leading actors in the Vilna Troupe. He was married to Yiddish actress Luba Kadison. Buloff was invited to join Maurice Schwartz's Yiddish Art Theatre, and he left Europe in 1926 to join the troupe. Buloff not only performed in Yiddish, but did so in English as well. He appeared in over 225 Yiddish plays before first performing on Broadway for the first time in 1936. Buloff and Kadison were the first to perform Arthur Miller's "Death of a Salesman" in Yiddish. Listen to Kadison talk about this experience (and more).